Given a rectangular solid with the width 2ft, length 3ft, and height 5ft. Find its volume. Given a cylinder with the radius 3cm and height 5cm. Find its volume. using the formula for the volume of a cylinder Take π = 3.14. 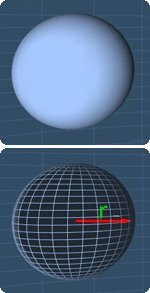 Given a sphere with the radius 3 inches. Find the volume of this sphere. Take π = 3.14. The lesson on the volume of a cone will show you the basics needed to use this formula. Note that, the volume of a cone is just 1/3 of the volume of a cylinder. Given a cone with the base radius 2cm and height 3cm. Find its volume. The lesson on the volume of a pyramid will explain the basic needed to use this formula. Note that, the volume of a pyramid is actually 1/3 of the volume of a rectangular solid. Given a pyramid with the width 3ft, length 4ft and height 5ft. Find its volume.